In a video posted online, gay activist and founder of the ‘It Gets Better Project’ Dan Savage has launched his new ‘Not All Like That’ (NALT) campaign for Christians who support LGBT civil rights. He added: “To the NALT Christians who confide in me their support of LGBT people I’ve always said don’t tell me that not all Christians are anti-gay bigots, tell that to all the so-called anti-gay Christian leaders out there who claim to speak for all Christians. Up until now, he goes on to explain, such NALT Christians did not have a platform from which to tell the world they support LGBT rights. “Well now you have that platform,” he affirmed. 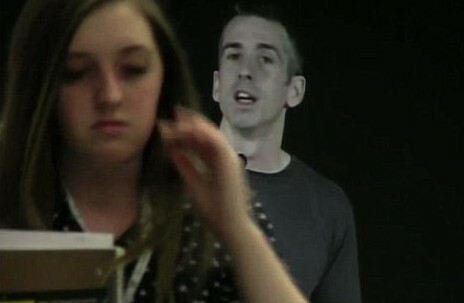 Last year, several high school students walked out of a lecture by Dan Savage after he linked certain passages in the Bible, which he called “bulls**t,” to homophobic bullying. “We can learn to ignore the bulls**t in the Bible and what it says about gay people,” he said, and went on to compare the acceptance of homophobic teachings to the acceptance of those verses which seem to support slavery and eating shellfish. Dan Savage was also responsible for the Dump Russian Vodka campaign in July, against Russian anti-gay laws.